The 2-port HDMI video switch enables one HDMI display to be switched between two HDMI video sources. The switch can be controlled via the push button. Plug and play functionality - no new software or drivers required. Eliminates the need to disconnect and then reconnect multiple HDMI sources. Ideal solution for connecting multiple HD media devices such as video game consoles, media PCs, set top boxes, DVRs, DVD players, etc. to your home theater systems. Supports 250MHz/2.5Gbps per channel (7.5Gbps all channels) bandwidth. 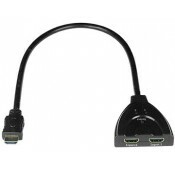 Input: Two female HDMI connectors. Output: One male HDMI connector on attached 1.5-foot cable. Touch button with LED indication of port selection. 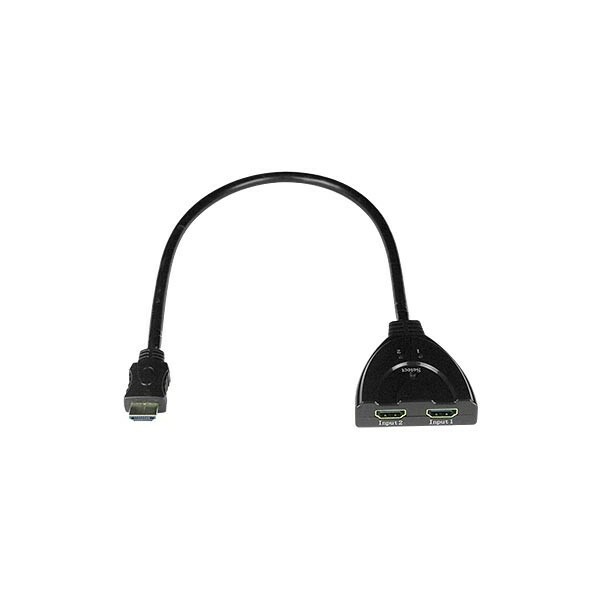 Converts HDMI mini Type C male plug to HDMI Type A male connector.